New Titanfall maps are a good thing. We've read a lot about the design decisions behind each of the three maps in Expedition, the game's first DLC pack, but we haven't had a glimpse of the levels until action. 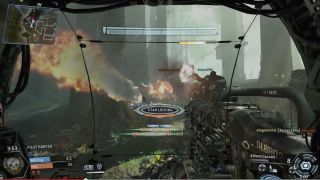 Titanfall's newest trailer finally gives us that, as well as a reminder of why the mechtastic competitive shooter w as so fun in the first place . Runoff is the most traditional of the pack's maps, set in an industrial wasteland that looks and feels like many of Titanfall's base maps. Swampland changes up the template with tall trees that give pilots new movement options, and Wargames —my favorite of the bunch so far—puts you in a combat simulator that, judging from the trailer, will give pilots a lot more to do while waiting for their Titan counter to hit zero. Expedition is the first of three planned DLC map packs for Titanfall, and will cost $10 when it comes out later this month.